An afternoon of plowing through knee-high mud or bouncing off rocks in your favorite four-wheeler is a lot of fun! But proper preparation before embarking on your adventure will help to ensure that your day goes without issue. When it comes to preparation, a reliable electrical system and properly-installed accessories are as important as the mechanical systems on your truck. 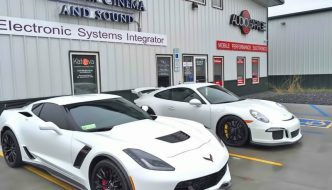 Read on to find out why your local mobile enhancement retailer is the perfect destination for the installation of your off-road electrical accessories. High-power lighting is synonymous with off-road adventure preparation. Nobody wants to be stuck in the woods after the sun sets and not be able to see. In years gone by, adding high-power lighting meant having a row of large round lights on your front bumper or roof rack. These incandescent lights consumed a significant amount of power. 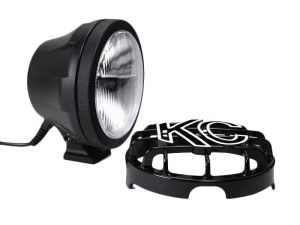 For example, a single KC Pro-Sport Halogen lights can consume 8.3 amps of current and produce 2452 lumens. Modern lights use multiple LEDs to provide much more efficient, and arguably more durable solutions. 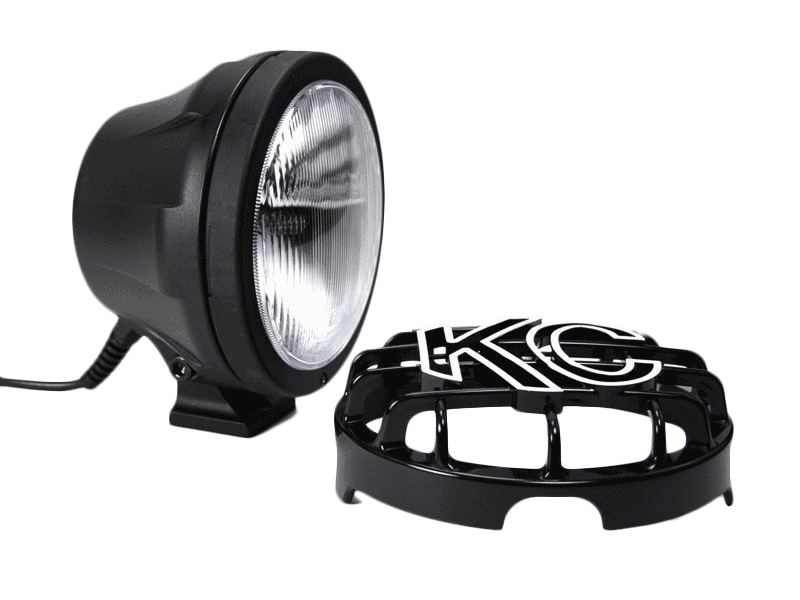 Rigid Industries is one of the leaders in LED off-road lights. Their Dually XL lights feature 9 LEDs per light and will produce more than 2736 lumens each while consuming 4.6 Amps of current. Regarding efficiency, that is almost exactly twice as much light output per amp of current consumed. Lighting upgrades include light bars, small lights that can mount in your grill or bumper, rock lights, work lights, backup lights and more. Headlight upgrades to HID or LED solutions can make the drive to and from the trail safer as well. Lighting upgrades are popular on ATVs, side-by-sides and if your geography suits it, snowmobiles. When it comes to light installation, there are three important considerations: Mounting/aiming, wiring, and control. 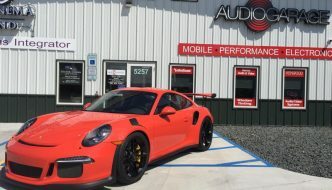 A reputable mobile enhancement retailer can provide a unique combination of installation creativity and durability. Custom mounting brackets, unique mounting locations and amazing integration options set their installations apart from conventional “bolt-on” solutions. 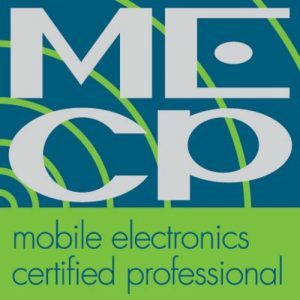 Mobile electronics technicians have unmatched experience when it comes to wiring. The path that the wiring for your lights takes is as important as how the lights are mounted and how they are controlled. Protecting wiring from damage starts with avoiding potential damage from moving parts, heat sources and sharp edges on metal brackets. Your wiring will also be concealed beautifully. Proper routing starts at the light by running the wiring into bumpers or roof racks, and where it runs through the vehicle. Cloth tape, braided wire loom, split loom tubing and heat shrink tubing are just some of the standard solutions used to conceal and protect the wiring. Zip ties or tesa tape will secure the wiring to ensure it will not fall out of place and be damaged. Controlling your auxiliary lighting systems offers us another unique specialty of your local mobile electronics retailer. 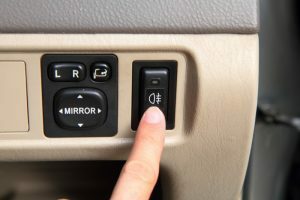 In days gone by, the ubiquitous chrome toggle switch mounted in the center console or on the panel under the steering column was par for the course. These days that would stand out like a paint run on a Bugatti! There are several options for lighting control. Perhaps one of the most preferred solutions is to purchase an OEM switch that fits into a blank in your dash and repurpose it for the new lights. A close second option are aftermarket switches that look like factory switches. Some of these have unusual and unique labeling to help describe the function of the light. Rock Lights, work lights, light bar and the ever-important Zombie lights are just some of the options. Your installer can integrate one or more of these lights into an existing control panel, or fabricate a new panel for all of your accessories. Many people overlook the importance of how electrical connections are made. There are several options available when it comes to making an electrical connection. We could spend an entire article discussing the benefits and drawbacks of different wire connections methods. We will simplify by stating that soldered connections, protected with premium vinyl electrical tape or heat shrink tubing will offer excellent electrical performance and exceptional reliability. If lighting is the number one accessory for off-roaders, then a winch has to be a very close second. Heading out on a challenging trail without a winch is a risky decision. Even a small winch can help you get out of a (literally) sticky situation. 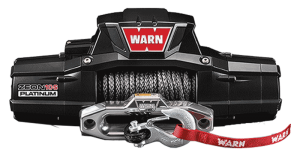 When it comes to winches, Warn Industries is the most recognized brand name in the industry. They manufacture winches for trucks and ATVs, as well as heavy duty solutions for tow trucks and compact winches for motorcycles. Winches are powered by an electric motor. To do work, these motors require large amounts of current. 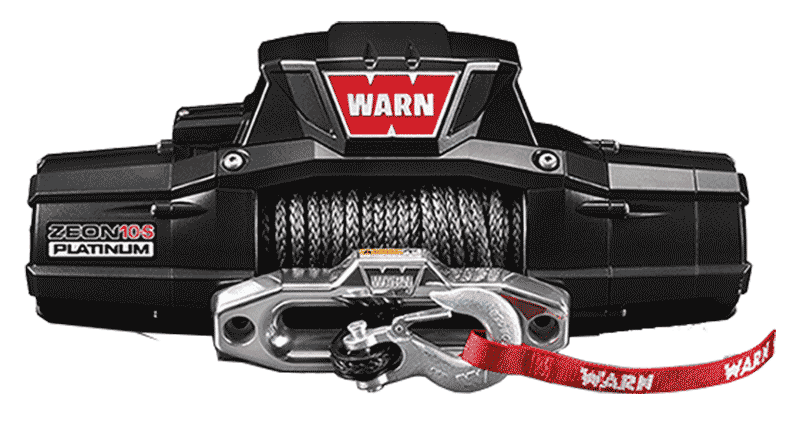 The compact Warn XT17 portable motorcycle winch can draw as much as 65 amps when pulling 1700 lbs, and a popular winch like the 10,000 lb Warn Zeon 10-S can consume 409 amps at full load. 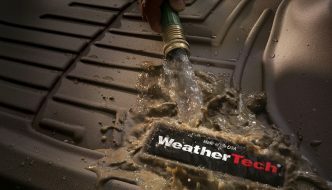 How your winch is connected to your vehicle electrical system will not impact its performance, but also the reliability. Just as with a high-power amplifier, feeding your winch requires large-gauge wiring to supply power efficiently. The cable size depends on the size and subsequent current requirements of the winch, and the distance the winch is located from the battery and alternator. For a large winch, you should look at upgrading the electrical connections between the alternator and both the battery and chassis of the vehicle. Your installer can help make recommendations to ensure the system will function reliably. Another popular off-road accessory is an air compressor. Many off-road enthusiasts will let some air out of their tires to increase the contact patch as they venture off the pavement. 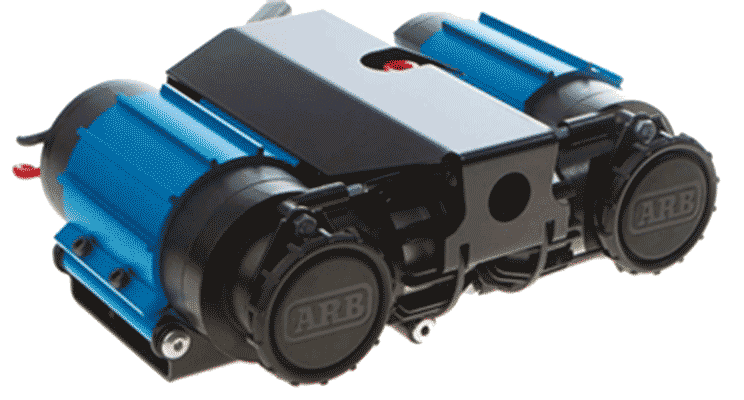 Once the day on the trails is done, having a quality air compressor available to pump them back up for the drive home will make your trip safer and more efficient. Air compressors can also be used to activate Air Locker differentials to increase traction or inflate air suspension components to change ride height. Companies like ARB offer a full line of air compressors. From a compact unit like the CKSA12 that can flow just under 1 cfm and produce 100 psi of pressure to a monster like the CKMTA12 that will provide more than 6cfm and 150 psi, all of these compressors need current to perform. Big compressors can draw as much as 50 amps of current– similar to what a 500-watt amplifier can consumer. Again, proper wire size selection and reliable connections not only ensure reliability but can increase performance. If you are running a big winch, lots of lighting, and have a truck full of all the latest technology…then your electrical system may have a hard time keeping up with the power demands. Your mobile enhancement retailer can help in two ways. A high-current alternator can easily double the amount of charging current available as compared to the factory unit. Many aftermarket alternators provide 280-300 amps of current, and some feature adjustable voltage regulators to fine-tune power delivery. Upgrading your battery is an excellent way to improve the reliability of your electrical system. A high-performance battery in a stock size can provide a little more capacity. 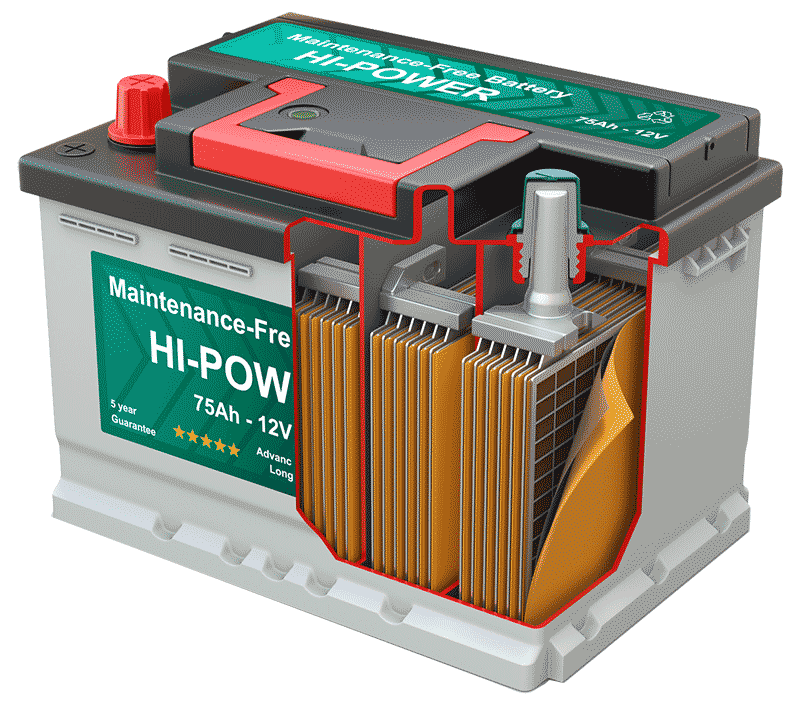 AGM-style batteries can handle the shock and vibration that off-roading induces better than conventional flooded batteries. Your retailer may be able to fit an oversized battery in your vehicle with some simple fabrication. If you are headed deep into the woods to camp, then an auxiliary battery system may be worth investigation. Having a battery dedicated to starting your engine, and a second battery dedicated to your accessories adds safety and security. The batteries are charged by your truck’s alternator but operate independently. If you kill the accessory battery, the starter battery is ready to get your vehicle running and get things charged back up. The list of convenience accessories you can add to your off-road is nearly endless. A high-power two-way radio can help you stay in touch with friends, or call for a little help if you get REALLY stuck! A power inverter will let you run 120 VAC accessories like a laptop or small power tools to make repairs. Additional cigarette lighter style plugs or dedicated USB ports can be added to make charging portable devices easier. We once heard of someone installing a snow-making machine in a vehicle. With that said, anything is possible. When it comes time to outfit your off-road vehicle with equipment to make your adventure safer or more entertaining, drop by your local mobile electronics retailer. They can help you choose the right accessories for your application. Even if the shop does not sell the product you want, talk to them about doing the installation for you. The performance and reliability of your electrical components will thank you for it!